CLICK HERE to view our extensive range of doors. We can provide a 5% DISCOUNT ON ANY DOOR SOLD AWAY FROM EBAY. Please call or email us directly with your required sizes / any queries you may have and we'd be happy to assist you. Limited time offer so hurry while stocks last! Situated in the beating heart of Yorkshire, visit us at Period Pine Doors! With over 10,000 doors in stock, come down for the full experience and view these beautiful reclaimed pine doors first-hand, and we'll ensure we find the right one for you. All under one roof, our stock contains a wide variety of external, internal, cupboard, stained glass and distressed doors, along with hand crafted iron locks, handles and fittings to match. Just north of York, we are based in the quiet rural village of Huby, a stones throw away from one of the UK's most exciting & historic cities. Not only can you indulge in the exquisite architecture it has to offer, you may also like to grab a bite to eat in some of the local towns and villages surrounding the area. 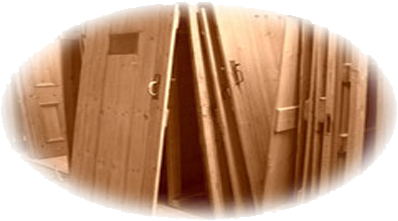 Make a day of it here at Period Pine Doors! We are open Monday to Wednesday 9.00am – 5.00pm and Saturdays 10 till 2. Closed all day Sunday.